The crosscut under table saw of the box structure is used to transverse cutting of the prism. 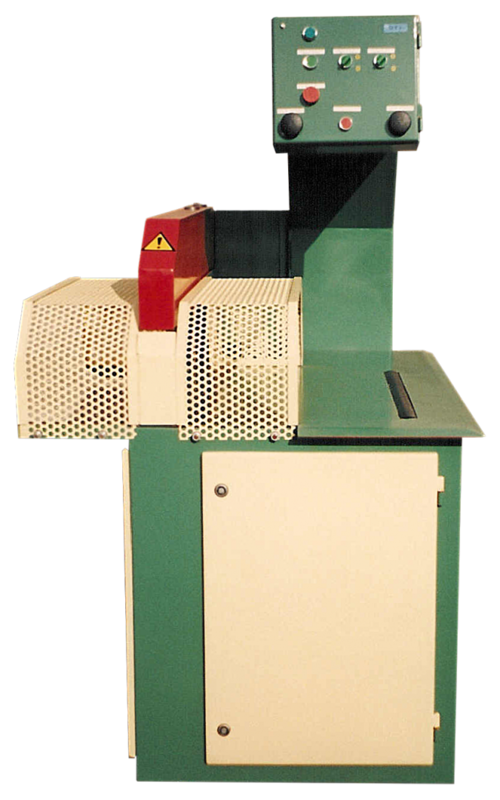 Access to the inner parts is provided by door, the saw blade is protected from the top by the cover and is controlled by two dependent buttons. Adjustable ruler is placed on the table. The control box is located on the console in front of the operator. The saw's speed can be controlled by throttling valves of the hydraulic unit. The switchboard is located on the back side of the saw together with the lockable main switch. Opening the door during operation is blocked by the end switch, which switches off the entire machine.